Andalusia is the Spanish Autonomous Community with the greatest number of inhabitants and the second in surface. 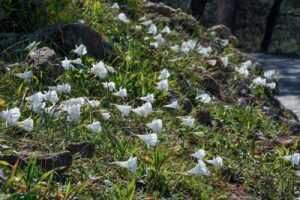 Its varied landscapes, its climate and the friendly character of its population have turned it into one of the most attractive regions of Spain for the plant lover. 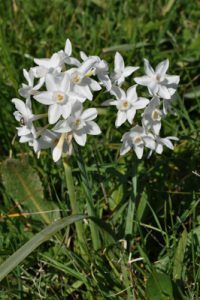 The offer for visitors is extremely varied, from golden beaches to those beautiful mountain ranges with their highly interesting flora and the famous “white villages” which are rich in folklore.The Iberian Peninsula is the centre of diversity when it comes to Narcissus, it is thought that up to 90% of all species can be found here, with many sub-species and natural hybrids. Marbella is famous for its internationally renowned and privileged climate and these days it is easy to reach with several cheap airlines. A good place to start your holiday to explore Andalucia. Marbella town center includes the lovely old town and its beaches are famous. 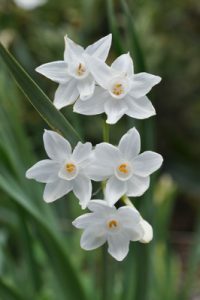 The annual average temperature is around 18.5º C, with 320 days of sunshine a year.December and January being the time of year with the highest precipitation.This climate is due to its unique geographical situation, namely the mountains which surround Marbella, the Sierra Blanca and the Concha. In the middle of the bizarre mountain range Sierra de Ronda, at the edge of a 120 meters deep and 70 meters wide canyon, there is Ronda – certainly one of the most incredible places in Andalucia. Hardly anybody has ever regretted the 60 kilometers journey from Marbella, passing narrow mountain streets, when suddenly Ronda appears. 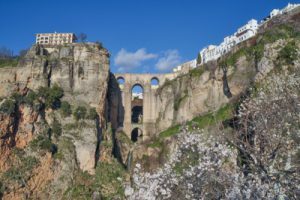 The famous and really breath-taking bridge alone is worth the travel, but Ronda has more to offer: the only bullring in all Spain which is entirely made of stone, and several interesting buildings in particular from the Moorish period. Ronda’s big central square is very lively, and several restaurants invite you to taste the specialties from the surrounding mountain range. 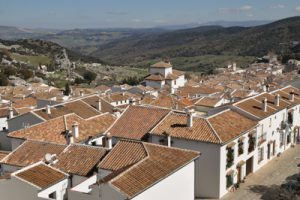 Ronda is a good base to stay and explore the nearby area. There are lots of good and cheap hotels. 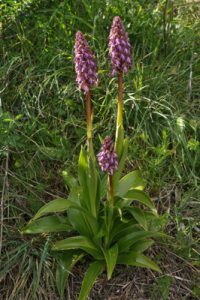 The Sierra de Grazalema was declared the first natural park in Andalucia in 1984 and is one of Spain’s most ecologically outstanding areas. 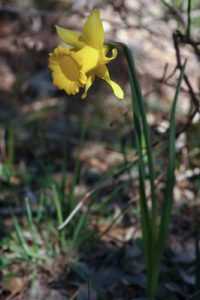 This large park is famous for its spectacularly rugged limestone landscape of cliffs, gullies, caves and gorge. 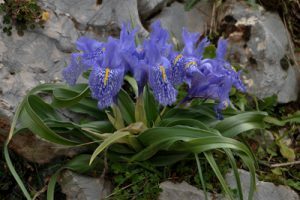 The region is well known for being the rainiest place in Spain, with an annual rainfall of 2200mm, which means that the 1300 Mediterranean plant species that have been registered here, many of them endemic and some of them unique to the Sierra, flourish. 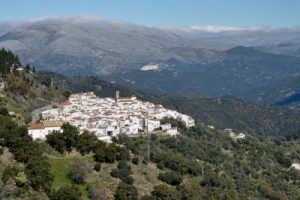 Dotted around the sierra are attractive pueblos blancos (white villages), the one in the most dramatic setting being Grazalema which nestles between the two rugged peaks of Pico del Reloj and the Pico de San Cristóbal. 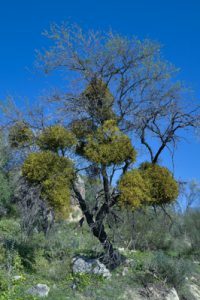 Other picturesque white villages include Cortes de la Frontera, El Bosque and Benaocaz where I stayed in a wonderful apartment for a few days to explore this plant rich area. 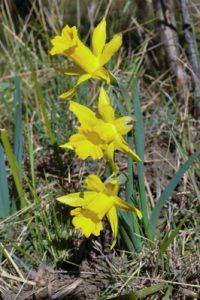 The natural park Sierra de las Nieves is located in the hills behind Marbella and to the east of the Ronda-Marbella road as it winds up the mountain along hairpin bends. The park centres on Mount Torrecilla (1909m). Apart from a few villages, which form a rural mountain community, this isolated area is largely uninhabited, and has seen very little human influence or activity, such as agricultural cultivation. 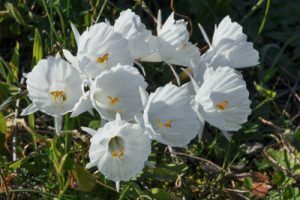 For this reason, it has an unusually rich variety of indigenous flora and fauna. As the name suggests, the park is sometimes snow-covered in winter. The lakes in Malaga are divided into three different areas referred to as: Embalse de Gaitanej; Embalse del Conde de Guadalhorce and the biggest of them all Embalse del Gualdalteba-Guadalhorce. If you head inland, away from Malaga Capital, towards the town of Ardales, you can access the lakes by following the signs to El Chorro or Embalses de Guadalhorce. 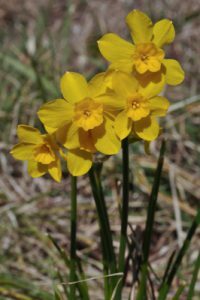 In this area you are able to find the best Narcissus cantabricus in large numbers. 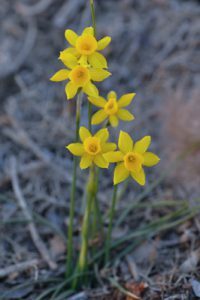 Andalucia is a hotspot for Narcissus species, but you can find lots of other interesting plants. 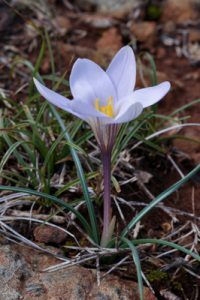 The best time to see the early spring flowers is around the last week in February and the first week in March.